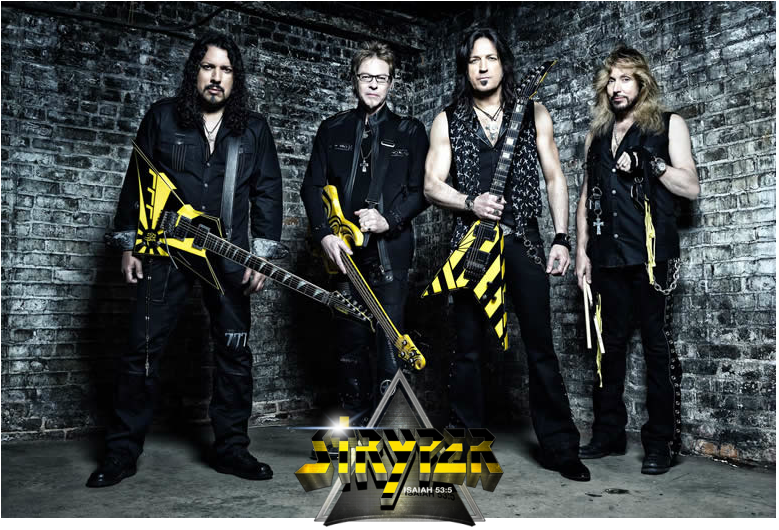 Stryper formed back in 1983 and originally went by the name Roxx Regime. During the early years of the band's career, they were known to the world as a Glam Metal band complete with yellow and black striped costume apparel. However, over the last 30 years of their career, Stryper has been evolving into the band that they are today. They still include the cool signature guitar sounds along with other elements from the early years that helped put them on the charts. But they have allowed themselves to move forward with the times mixing their original sound with some fresh modern day techniques and appeal. In early 2015, the band decided that it was time to began work on some new Metal material and set out for Spirithouse Recording Studio in Northampton, MA. to began recording their latest album 'Fallen'. In 2015, Stryper finished the recording process and released their Follow up to their 2013 seminal opus 'No More Hell To Pay,' which debuted at #6 on Billboard’s Top Rock Albums Chart and #2 on the Christian Albums Chart. 'Fallen' was released on Frontiers Music SRL on the 16th of October 2015 and proves to be their heaviest offerings of their entire 30 year career. With this 2015 release, much like their 2013 album, we find a band that has moved away from the Glam Metal scene of their early years and has embraced a more modern Melodic Metal sound that is sure to captivate those in the present day Metal scene. The cover art was created by artist Stanis Decker and depicts Lucifer being thrown out of heaven by God and falling down to the earth. Stanis Decker was also responsible for the cover art on their 2013 'No More Hell To Pay' album. Michael Sweet states: "We sent Stanis the concept about Lucifer being cast out of heaven and he sent us this amazing illustration, capturing the original idea perfectly." 'Fallen' is without question one of Stryper's most diverse albums they have ever recorded. To begin with, There are some notably heavier tracks where our duo guitar team consisting of Michael Sweet & Oz Fox are armed with some lower tuned guitars. These hard hitting tracks are as follows:"Yahweh" , "Fallen" , "Pride" , "After Forever" , "The Calling" , and "King Of Kings". We have to give the band credit for stepping out of the norm and delivering up some heavier offerings that are guaranteed to rattle your head and shake the fillings right out of teeth. When you first hear the tune "Yahweh", what immediately grabs your attention is the angelic choir backing vocals that add that extra touch which puts this tune on a higher level than others. If I had to pick one song to be the 2015 song of the year, the tune "Yahweh" without question, would fill the spot. This song not only includes incredible backing vocals but contains all the elements of a extraordinary tune. There's everything from Power Metal shredding to a slew of time changes to double bass to overtly Christ centered lyrics to a heaviness that smacks you in the face. The diversity continues when you consider the tunes "Fallen" , & "Pride". On these two tracks, lead Vocalist Michael Sweet stretches himself to new levels as he reaches for more grit which inadvertently has a dynamic effect on the over all heaviness of these two tracks. Then there's the track "Till I Get What I Need" which sounds a lot like the band's offerings on their 2013 album 'No More Hell To Pay'. For those who want to reminisce of Stryper's early years, you haven't been forgotten because tracks like "Big Screen Lies" , "Love You Like I Do" , and "All Over Again" all have that early Stryper feel to them. Durring the 80's when Stryper got their start, most all band were putting ballads on their albums to break things up and further diversify their albums. Stryper was no exception to this rule as they have recorded at least one ballad on every album they have ever recorded. On their 'Fallen' release, we find that the ballad is track 7 "All Over Again" where the band brings back the magic of the 80's which includes some nice riffs by guitarist Oz Fox. Bass is handled by none other than Tim Gaines who does an extraordinary job in the percussion section with his heavy base lines. The kit is brought to life by the powerful drumming techniques of Robert Sweet who has not only been with Stryper since their conception but has offered his services to other bands as well. Some of the bands that Robert has lent his hand to are 'King James' , 'Shameless' , 'Titanic' , 'Blissed' , and 'Final Axe' just to mention a few. Stryper is no stranger to putting praise songs on their albums as we saw on their disc 'Soldiers Under Command' with "Battle Hymn Of The Republic(Glory, Glory, Hallelujah)". Their latest praise song is "King Of Kings" which further shows the diversity on this 'Fallen' album as they have delivered up a little something for almost all Metal tastes. The Lyrics for 'Fallen' are some of the best that I have seen in a long time as they are not only uplifting but bold for Christ. We find that the band sings unashamedly the name of Jesus which seems to be falling by the wayside with other bands. Another great feature about the lyrics are that they touch on new themes and stories found in the bible that haven't been explored much in the Metal scene. For example, there's the tune "Let There Be Light" which is the story of "Creation" as found in Genesis where God created everything. Then there's the tune "Yahweh" where we find the story of Jesus where he is being questioned before Pilate and then crucified to pay for our sins. Finally, there's the tune "Fallen" which tells the story of Satan/Lucifer and why he was cast out of Heaven so that he would fall to the earth as a fallen angel. When I read the line at the end of the lyric "...the end is calling" it makes me think of Stryper's tune "To Hell With The Devil" where the end is calling for Satan and he will be bound and thrown down into the lake of fire where he will get the chance to "fall" again. We can only hope that other bands will learn from Stryper's example of their lyrical content, how to use more of the Bible and the stories there in, to inspire and encourage us on this pilgrimage. As soon as they saw Him they said, "Crucify. He just proclaimed to be God, He surely must die." Yahweh - Yahweh - Yahweh! "You have no power at all over Me. If it didn’t come from above, you’re too blind to see." Gave up His spirit for all - He was crucified! 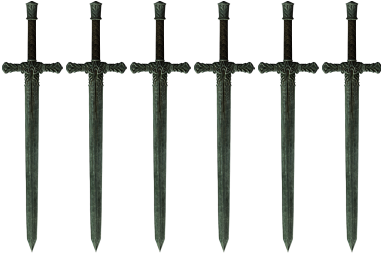 (See Site Info for Sword Scale meaning)This rating is for the album 'Fallen'. If you like guitar shredding then you are in for a treat, just like all other Stryper albums this one delivers the goods as well. As I have already mentioned, Michael & Oz Fox come out shredn' on this disc so if your tastes have gone mellow then you might want to pass this one by and pick up some Frank Senatra. For those who are hungry for more Metal this album is sure to suit the tastes of most Metal Heads who like it heavier. 2015 has been an amazing year with some incredible christian Metal releases. Stryper has out done themselves on their 'Fallen' release. If you love the sound of Melodic Metal that has a little old world mixed with some new then support the band by picking up your copy of this 2015 release.